If you like Tesla’s already-quick acceleration, but want it to be even faster, than brace yourself! The latest model of the electric car just clocked in acceleration times that beat a Porsche and a Ferrari. In a recent test, a production model Tesla S P100D accelerated from 0 to 60 miles per hour in a dizzying 2.28 seconds. This is faster than even Tesla thought it would be. MotorTrend conducted the test. This is the first production car it’s ever tested to crack the 0-60mph acceleration threshold in less than 2.3 seconds. To put that into perspective, the P100D beat the Porsche 911 Turbo S and the LaFerrari. The car hit those incredible speeds while in “Ludicrous+ Easter Egg mode,” Tesla’s turbo mode. It’s called Ludicrous mode as an homage to Spaceballs. The car will warm up for a few minutes after you press the Ludicrous button, and then you have to initiate “launch-control mode” with a few pedal presses. When you release the brake while holding down the gas pedal in this mode, you take off like a rocket. That doesn’t necessarily make the P100D the new car of choice for speed demons, though. 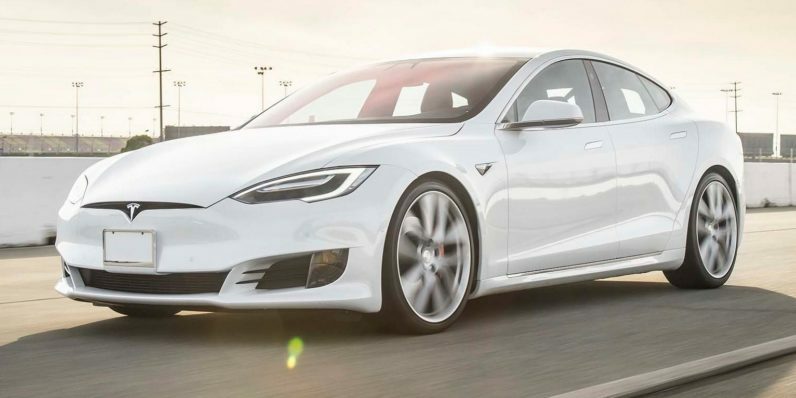 MotorTrend says the Tesla car hits higher speeds more slowly than other cars. If you were running the P100D and the Porsche alongside each other, the Porsche would be traveling almost seven mph faster by the quarter-mile mark. They also noticed “jerk,” which is a nice way of saying “presses you back into your seat.” They compared the g-forces to those of a roller coaster. Still, the P100D is both commercially available and cheaper than the comparable Porsche and Ferrari. It won’t be hitting supercar-worthy top speeds any time soon, but it’s worth considering if you want that “get up and go” factor.